We migrated our Nextcloud server to PostgreSQL! Working with this got us thinking, why make 4-byte support a feature? But first and foremost – why didn’t the MySQL developers enable 4-byte support by default – without having to enable it afterwards. So we started to look around and it led us to PostgreSQL (PGSQL). We had previously heard some good things about it and some of the Nextcloud app developers made some hints about PGSQL being a better database in general, but as we were not familiar with it, we didn’t start to look at it for real until the MySQL stuff started to get annoying for real. Tweaking and fixing, and tweaking even more. It should just work from start without having to enable and disable features, right? 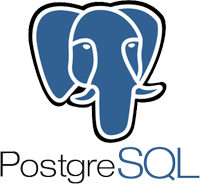 As we didn’t know so much about PGSQL we decided to ask the experts in #postgresql on IRC. They told us many things that surprised us. One of those were that the MySQL developers actually messed things up with UTF8 and had to add 4-byte support afterwards(!) and even according to the MySQL documentation they describe possible issues when *converting* (UTF8 should just be UTF8. Convert UTF8 to UTF8? Come on!) from UTF8 to UTF8mb4. It sounded bad, and almost not true. So we decided to read about it ourselves, and as it turns out the IRC guys were right. PGSQL is a more advanced database in general and handles stuff more efficiently than MySQL/MariaDB, which also is proven in different benchmark tests that you can find easily by Googling. o what would you choose, a database which you have to enable support for basic functionality, or one that has everything out of the box with fewer commands? The choice for us was easy – we chose PGSQL and today we did a full migration of our own Nextcloud server. We are still no experts on the subject, but what we found was enough to convince us. Even though MariaDB/MySQL is the recommended database for Nextcloud according to the Nextcloud documentation, to us PGSQL is the better choice. Thankfully PGSQL works very good with Nextcloud and the only downside is that not all apps are supported, but that’s just a few. All of the official apps are supported and the few that isn’t aren’t developed by Nextcloud or developers that works close with Nextcloud, so nothing to worry about. Before you start Apache2 after the script is run, be sure that you have removed everything related to MySQL/MariaDB. Here we go! Before you run the script, make sure that you are root. PLEASE REMEMBER TO KEEP BACKUPS IN CASE ANYTHING WOULD GO WRONG. echo "Your new PostgreSQL password is: $PGDB_PASS. It's also written in your Nextcloud config.php file." echo "Apache will start in 30 seconds... Press CTRL+C to abort." If you installed phpMyadmin you have to remove that as well and install phpPgAdmin instead with this script. It might also be a good idea to do FLUSHALL on Redis. If you want to tune PGSQL you can use PgTune. It’s just a few settings to adapt to your hardware and the result is amazing. Default amount of connections is 100 and we found that to be the best setting. If you want to benchmark your installation, here is a good guide using pgbench.